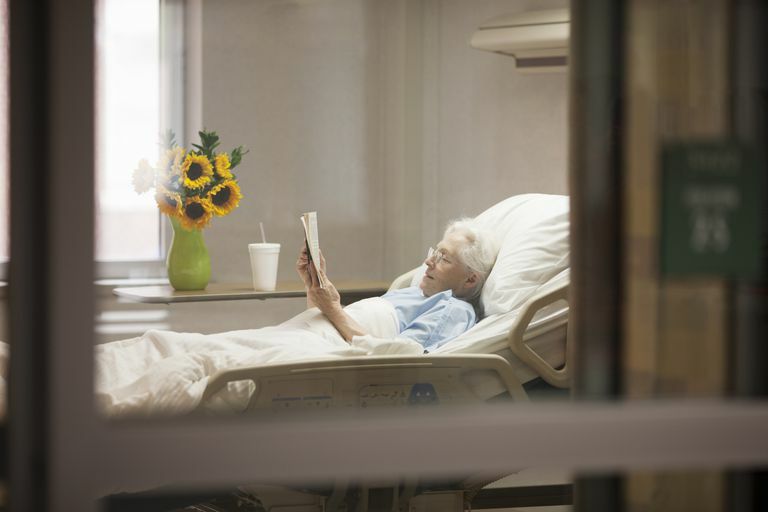 If you are ill or have been injured, you may need to spend a significant amount of time in the hospital or on bed rest. If you are having difficulty with bed mobility due to weakness or loss of range of motion, you may benefit from physical therapy to help improve the way you can move around. One of the goals of physical therapy if you have limited strength and mobility is to keep you moving to prevent pressure ulcers, also known as decubitus ulcers or bed sores. Education for nurses, doctors and family members about the importance of frequent movement to prevent skin breakdown. Once a pressure ulcer forms, it can be difficult to treat. Understanding the different stages of pressure ulcer formation can help determine the best treatment for you. Pressure ulcers are categorized into four stages by the National Pressure Ulcer Advisory Panel depending on the level of tissue involvement or depth of the sore. The tissue being referred to includes the skin and underlying dermis, fat, muscle, bone, and joint. Knowing the appropriate stage assists in the prognosis and management of the ulcer. Stage one pressure ulcers are characterized by erythema of intact skin that does not blanch when pressed upon. The skin may appear red and feel warm to touch. In individuals with darker skin, discoloration, warmth, edema, induration, or hardness may be indicators of a stage one pressure ulcer formation. Recovery time for a stage one pressure ulcer is typically three to four days if treatment is started right away. If the pressure is not removed from the area, a stage one pressure ulcer may progress to a stage two ulcer. Stage two pressure ulcers involve partial thickness skin loss involving epidermis, dermis, or both. The lesion is superficial and presents clinically as an abrasion, blister, or shallow center. It may be warm to the touch and red. You can expect a stage two bed sore to last for approximately four days to three weeks. You must work to relieve pressure from the skin in this area by proper positioning, frequent moving, or padding or the ulcer may progress to stage three. Stage three decubitus ulcers are full thickness skin loss involving damage or necrosis of subcutaneous tissue (the tissue below the skin) that may extend down to, but not through, underlying fascia. The sore presents clinically as a deep crater with or without undermining of adjacent tissue. The area surrounding the sore may be red and hard, and warmth may be palpated throughout. There may be pus or drainage from the sore, and a foul smell may also be noted. This type of ulcer certainly opens your body up to infection of the skin and underlying tissue. The recovery time of a stage three pressure ulcer may take one to four months with proper treatment. The stage four pressure ulcer presents as full thickness skin loss with extensive destruction, tissue necrosis, or damage to muscle, bone, or supporting structures. This is the most severe of pressure ulcer formation and is most difficult to treat. These ulcers require strict adherence to a pressure relieving schedule and a wound care team to fully manage the lesions. In stage four ulcers, there may be a deep crater in the sore with significant drainage and pus. A foul odor may be present, and the tissue surrounding the area may be dark purple or black. Stage four pressure ulcers are a serious problem, as they open your body up to bacteria and infection. Recovery time for this type of ulcer can extend from two to six months, and they require frequent monitoring and care from a wound care team to ensure a successful outcome. If your pressure ulcer is deep or is mired in overlapping tissue, your doctor may not be able to appropriately stage it. This type of ulcer is called unstageable; your doctor can determine the stage of the ulcer once it is adequately cleaned out. Sometimes, pressure ulcers may appear to be a stage one or two, but the underlying tissue that cannot be seen is actually a stage three or four. In this case, the ulcer may be called a stage one with suspected deep tissue injury (SDTI). If you or a loved one is hospitalized and is having difficulty moving around, you need to be aware of and watch out for pressure ulcer formation. By understanding pressure ulcers and their formation, you can be sure to look out for any problems with skin breakdown while in the hospital. Edsberg LE, Black JM, Goldberg M, Mcnichol L, Moore L, Sieggreen M. Revised National Pressure Ulcer Advisory Panel Pressure Injury Staging System.Journal of Wound, Ostomy and Continence Nursing. 2016;43(6):585-597. doi:10.1097/won.0000000000000281.